ProjectEd is a social enterprise built to help students who aren’t privileged or lucky enough to pursue tertiary education. As a student-funded scholarship programme, they have contributors who each give RM45 monthly to the fund. Not everyone is privileged enough to go to college or university after taking their SPM. It could either be that they go straight to work or that they don’t have sufficient funds to continue their tertiary education. Even with PTPTN and other loans, it won’t cover the entire tuition fee and in the end, the loanee will be saddled with debt after graduating. Thus, for students who aren’t privileged or lucky enough to have the funds to pursue tertiary education, the only option they have is through scholarships. Generally, to get a scholarship, they have to be top of their class or excel in co-curriculum or sports, which isn’t an easy feat. As an undergraduate himself, Nelson understands the benefits and importance of how much a scholarship can help in the journey of a student. As a first-generation university student (which means he is first in his family to go to university), he secured a full scholarship from Yayasan Khazanah to pursue his education dreams in the United Kingdom. As a scholarship receiver, he is always in search of ways to contribute back to the community and he realised that there was a huge knowledge gap in tertiary education pathways between students from rural and urban areas. Hence, in 2017, he set up his own social enterprise ProjectEd to help students to pursue their tertiary education dreams. 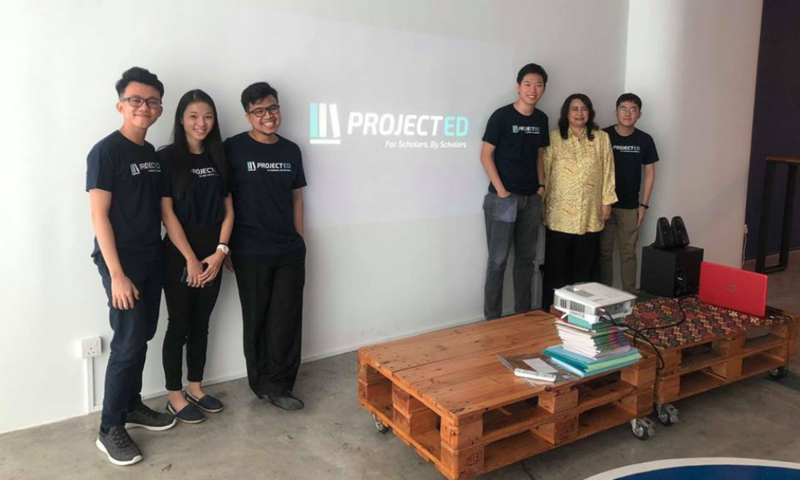 ProjectEd is actually led by students, and as a registered NGO, they strive to tackle education inequality by empowering underprivileged students. Comprising of students who range from 19 to 25 years old and mostly prestigious scholarship recipients themselves (such as Yayasan Khazanah, CIMB Bank, JPA, and Maybank), the team has a strong belief that everyone’s small effort can collectively be powerful enough to create a substantial impact for the community. “We empower students to achieve their fullest potentials through our digital mentorships, scholarships opportunities, and educational workshops,” Nelson explained. Students are able to seek advice through their free digital mentorships where they can learn about Resume/CV Writing, Mock Interview Practice, Scholarship Application Guidance, Institution & Courses Advice, and Scholarship Essay Proofread. 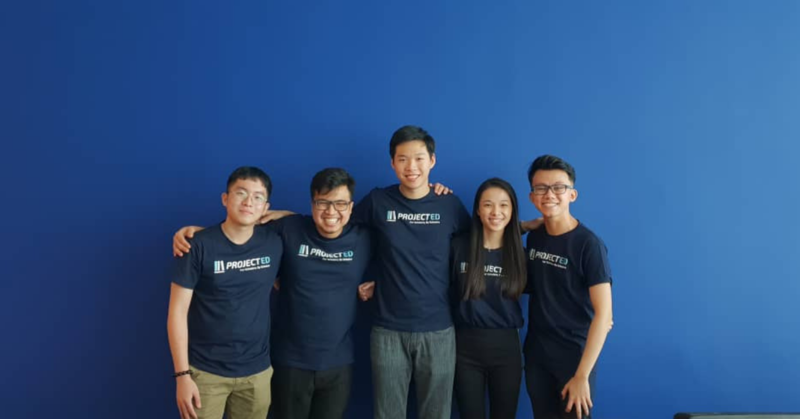 According to Nelson, ProjectEd is the first and only student-led scholarship fund in Malaysia which provides scholarships for local public universities. The team—or as the ProjectEd team calls them, “Contributors”—contribute RM45 monthly. The amount of funds will be accumulated and will be utilised in their annual Knowledge Is Free Scholarship Programme. To date, they have more than 50 contributors who are contributing monthly but they are looking to increase their contributor base by opening up the opportunity to everyone, ranging from students, parents, teachers and the public who believe in their vision. As for the selection process of the scholarship programme, contributors will be able to take part in the nomination and selection process too. “Selected students will be interviewed and successful applicants will receive the scholarships. The amount of scholarships given varies and depends on the fund available,” he explained. One thing that Nelson specifically points out is that their scholarship is different from the rest as they look for students who are eager for knowledge, not necessarily those that are the top in the class or achieving full A’s. As long as you’re a student studying in a Malaysian public university (IPTA), it won’t matter what course or discipline you’re studying as it’s all accepted. Since its establishment, ProjectEd has provided funds for three students at local public universities. “Through these three scholarships provided, we have given out more than RM12,000 to assist the students to pursue their tertiary education dreams. We have successfully raised more than RM20,000 and are looking forward to reach our goal of RM100,000 by next year,” added Nelson. However, Nelson doesn’t have it easy as he is still studying in the UK while managing ProjectEd which is based in Malaysia. With a 8-hour time zone difference, effective communication between him and the team is very important. “We utilise organisational tools such as Trello and WhatsApp for prompt communication. We also have our bi-weekly meeting to discuss on our goals and updates. From this challenge, I believe that creating a system which tracks every members’ progress is undeniably helpful in managing ProjectEd,” he explained. He strongly believes that passion beats the distance and that having great time management is essential in juggling between his studies and working on ProjectEd. However, it has also been rewarding for himself as his biggest accomplishment so far is being able to inspire more than 50 contributors to do good together. “I always believe that one of the biggest reasons of starting ProjectEd is to create ripple effects and inspire more individuals to take challenge in initiating innovative solutions to solve real-world social challenges,” said Nelson. With that he hopes to provide assistance to more than 1,000 students through digital mentorships and educational workshops by August 2019. Besides that he is also looking to have more than 20 scholars by 2020. Other than just receiving funds for scholars, they are on the look out for companies to fulfil their Corporate Social Responsibilities by investing in students through sponsoring corporate scholarships or through educational workshops. If you would like to know more about ProjectEd, you can visit their website here.